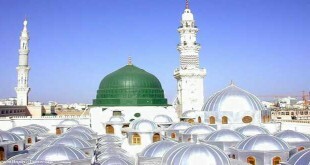 Is is permissible or not to praise and venerate the leader of mankind, Muhammad Sallalahu Alayhi Wasallam and to conduct the eulogy recitations of the Mawlid in such a manner that the gathering is ornate with lights and decoration while the people recite poetry as if the Messenger of Allah Sallalahu Alayhi Wasallam was present in the gathering and was being being addressed directly? Is it also permissible or impermissible to stand in veneration when his birth is being mentioned and furthermore, what do the scholars of legal verdicts says with regards to attending such gatherings? Also is it permissible or impermissible from the viewpoint of the Prophetic Hadith to recite al-Fatihah while raising the hands (i.e. 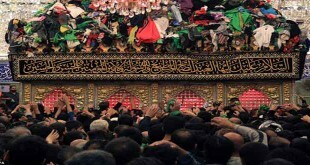 making dua) over food on the day of Eid, Shab Barat and other days with the intent of the reward reaching the deceased? Please explain. Also is it permissible or impermissible for people to gather on the third day after the death of an individual in order recite the Quran and to recite the Kalimah and five ayat on roasted chick peas? Please explain. Organising Milad gatherings and its likes is an innovation. 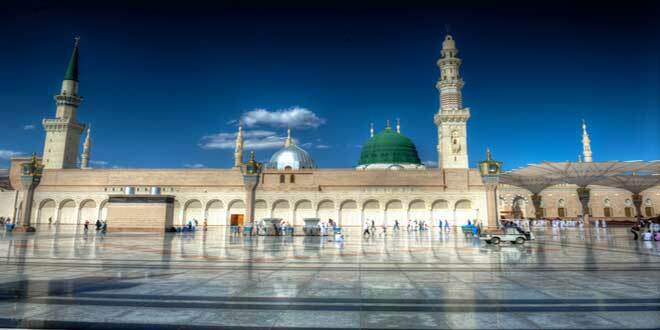 Organising Milad gatherings and standing when the birth of the Messenger of Allah Sallalahu Alayhi Wasallam is mentioned is not established or proved from the first three best generations. Therefore, it is an innovation and thus moving along the same line of argument, we do not find any evidence for raising the hands and making dua by reciting al-Fatihah on the days of Eid, Shab Barat and other special days. However, on behalf of the deceased, if food is given to the poor and destitute for the sake of Allah without the restriction and specification mentioned in the question, with the intent of reward for the deceased [as sadaqah], supplicating and seeking forgiveness, then we hope that is it beneficial (for the deceased). The same applies to other restricting and specifying other days after the death, for example the the third, the tenth and the fortieth. (i.e it is impermissible on any day after the death). As for reciting five ayats on roasted chick peas and other things, then we do not find any evidence for this whatsoever in the books of Hadith and the Din, therefore in conclusion these affairs are innovations and thus disliked in the shari’ah. And our resort is in Allah. Shaykh Nawab Sayyid Muhammad Siddiq Hasan Khan al-Qinawji al-Bukhari, Fatawa, 177-178. Believing the Messenger of Allah Sallalahu Alayhi Wasallam i.e. having the Aqidah about him that he Sallalahu Alayhi Wasallam travels to wherever the Mawlud’s are recited is indeed Shirk. Only Allah is everywhere in terms of knowledge and power, and he has not given his attributes to anyone and Allah knows best. SIGNED Abd al-Jabbar Umrpuri, Mudarris in Madrassah Matl’a al-Ulum, Meerut.